Mr. Chenfeng Shen is General Manager of GBK Co., Ltd. Global Regulatory Compliance in Shanghai, China. He is M. Eng. of Environmental Protection and Dipl. Eng. of Chemical Engineering. Mr. Shen has been an employee by GBK since 2013 and gives Seminars about Chinese chemical Regulations. 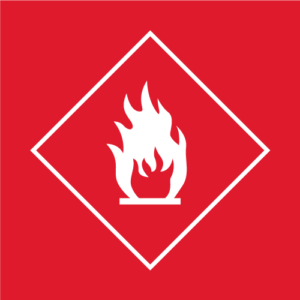 Mr. Shen also advises companies in variety of industries regarding the topics “Dangerous goods Transport “, “Hazards chemical” and the requirements for exporting chemical products. Enterprises export/import, transfer Chemical related products into China. EHS Specialist/Head of Logistics and shipping: involve product registration management, EHS/Compliance management, tracking of legal requirements. Online Internet Zugang, Einwähldaten und Passwort werden nach der Anmeldung verschickt. China is enforcing the “13th five year” plan both for environmental protection and for safety production. The major hazard sources for prevention serious accidents and unpredictable risks from chemicals become one of the priorities, and different measures are taken by ministry levels with strict supervision and risk control. More and more enterprises realize the strengthened requirements from local customs, import/export bureau when import/export into China. The complex of the regulation system and the increasing importation documents/certificates/data requirements which differs from province to province can bring lots confusion to global enterprise. 3. Main tasks enterprise facing, and suggestions on compliance reaction. Online Webinar, das Webinar findet in englischer Sprache statt. Alle Informationen in diesem Webinar werden Ihnen auch als PDF zum Download zur Verfügung gestellt.